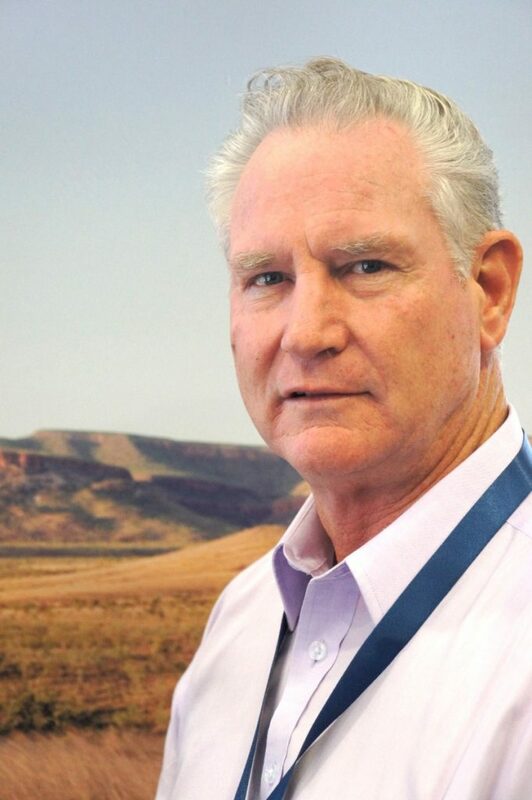 One question more than any other is directed at CarbonLink’s Terry McCosker by producers wanting know more about on-farm carbon storing projects. Dr McCosker is currently answering that question in detail at a series of workshops around Queensland and New South Wales. But the short answer is, after years of continuously shifting Government policy and false starts on carbon trading platforms, finally a firm ‘yes’. This is thanks largely to the policy position Australia has now arrived at, under the Federal Government’s Direct Action program. This has seen more than $2 billion of Emission Reduction Fund money invested in hundreds of carbon projects through four carbon auctions over the past two years, the most recent in late November. That massive injection of money is giving land owners the surety they need to enter into agreements to save and/or grow carbon stores, safe in the knowledge they will get paid for what they do. It has been up to companies like CarbonLink to develop projects that enable producers to gain financial reward for the carbon they add to their soil. Terry McCosker has spent decades researching, and educating producers in, the use of rotational grazing systems and other biological farming practices, through his training and consultancy company Resource Consulting Services (RCS). He has long believed that time-controlled grazing practices help to sequester carbon from the atmosphere into the soil. Since the mid 2000s, as it became clear that a market for carbon would develop in Australia and globally, he began trying to measure exactly how much carbon growers using rotational grazing strategies were actually adding to their soil. He examined data from the properties of 14 RCS clients in Queensland and NSW to provide a relevant and representative sample. It showed that producers who adopted cell grazing techniques had increased soil carbon levels by 0.4 per cent over a 10 year period on average, compared to their neighbours who used more conventional grazing strategies. However, it equates to around 1.5 tonnes of carbon per hectare per year. At current carbon pricing levels, that amounts to significant additional on-farm income, as Dr McCosker explained to Beef Central this week. “To put that in context, in a typical Central Queensland buffel grass property the average net return per hectare for the past three years from beef cattle has been $41/ha. “If you were to sequester one tonne of carbon per hectare per year, at the current price you would have an average annual net income per year of $20/ha, just from the carbon. So how can producers start earning money from carbon? The first step is to join a formal carbon project, so their property’s baseline carbon levels can be measured, and then monitored going forward. The main upfront cost for producers is the baseline process, which requires aerial or satellite data to be collected across the property and then soil samples to be taken. These costs can be hard to estimate because they change depending on the scale of the property. But, as a guide, the cost to baseline a 10,000ha property will be in the vicinity of $10-$15/ha. Soil carbon levels are then re-measured at an agreed point in future, typically around five years. The change in soil carbon between the baseline and what has been gained in that time is what producers can sell. In a truly positive win for landholders, this is where a unique multiplier comes into play. Each additional tonne of carbon stored in soil is considered the equivalent of 3.6 tonnes of carbon dioxide. So for every tonne you add to your soil, you can sell 3.6t of CO2 equivalents. “It is that multiplier that really makes it profitable,” Dr McCosker said. Boosting soil carbon levels requires change from conventional farming practices, Dr McCosker said. “With all conventional grazing or farming, whether it is zero till or not, we are not sequestering carbon,” Dr McCosker said. “The critical thing is we have to change practices to practices that do sequester carbon. “So in the grazing industry, that is at least a half-decent rotation. “In farming the biggest problem is the bare fallow with zero-till farming practices. “Zero tillage itself is fine, because tillage destroys carbon. One way to accelerate carbon sequestration rates in both productive grazing country and cropping land is to develop a simple home-made compost. It has to be done in the right way to produce a quality end-product according, to Dr David Johnson from New Mexico State University, who is also currently talking to farmers and graziers on the CarbonLink roadshow. But the process requires little more than creating a static pile of compost using a pallet, steel reinforcing mesh and pipes, and then adding matter such as leaves or wood, and watering for about one minute each day. In eight to 10 months time, done right, you will have a high-quality compost ready to spread on your paddocks. One tonne of good quality compost will make about 30,000 litres of liquid compost extract. This can then be applied at a rate of 50-100 litres per hectare to about 300 to 600 hectares of land (one group in WA has extended one tonne out to 7000 hectares with good results). One application of this particular type of compost has been shown by Dr Johnson to increase dry matter production three-fold over a four year period. “The old paradigm of compost is you put on heaps of it, and therefore it is very expensive and basically not affordable, particularly in the grazing industry,” Dr McCosker said. In cropping enterprises compost extract could be injected in minute quantities across farming areas or used as a seed coat. CarbonLink has also found the addition of legumes such as Progardes can increase the carbon sequestration rate quite significantly. Progardes is a perennial tropical legume composite from the Desmanthus family bred to be productive in the clay soils of Northern Australia in low rainfall semi-arid conditions. It is highly palatable with high protein content. “We have got some very good data on Progardes showing very high increases in sequestration rate,” Dr McCosker said. In the four carbon auctions held under the Emissions Reduction Fund to date, Corporate Carbon has secured 6.7 million tonnes of carbon dioxide equivalents from soil carbon for Carbon Link clients, worth over $100m. “That allows us now to provide a guaranteed price for 10 years under those contracts,” Dr McCosker said. ‘And also to, under the arrangement we have with Corporate Carbon, that removes the supply side risk. “So if you sign a contract to supply 100,000t and you don’t make it – you might make 50,000 or whatever – basically you are not liable for the missing tonnage under the current arrangement, provided you have done what you were contracted to do. “Corporate Carbon bear that risk. All contracts offered by Carbon Link have a 25 year permanence period.